Oliver Goldsmith thrives on its diverse community with a rich variety of home languages, cultures, faiths and traditions. We are proud to celebrate our diversity and enjoy learning from each other. We recognise the multi-cultural, multi faith and ever-changing nature of the country and our community. OGPS follows the policies outlined by the Equality Act 2010 which guarantees that there will be no discrimination against any individual or group, regardless of faith, ethnicity, gender, sexuality, political or financial status, or similar. 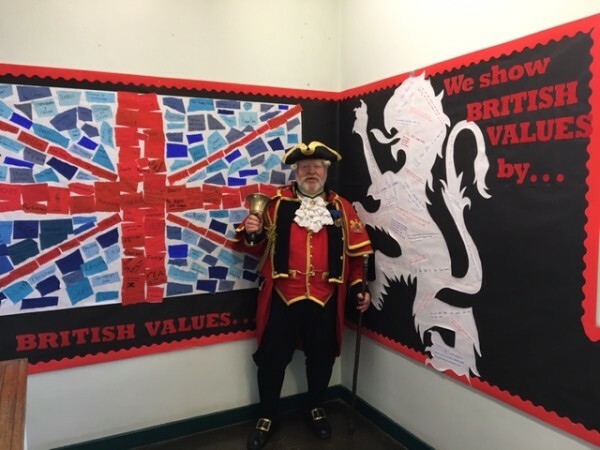 The Government emphasises that schools are required to ensure that key ‘British Values’ are taught in all UK schools. The government set out its definition of British values in the ‘Prevent Strategy" – values of: Democracy, the rule of law, individual liberty, mutual respect and tolerance of those of different faiths and beliefs. The spiritual, moral, social and cultural growth and development of our children supports their understanding of British Values. Our curriculum prepares children for life in Britain and the wider world; this includes developing effective reading, writing skills and maths, so children have the core skills they need to be successful citizens. 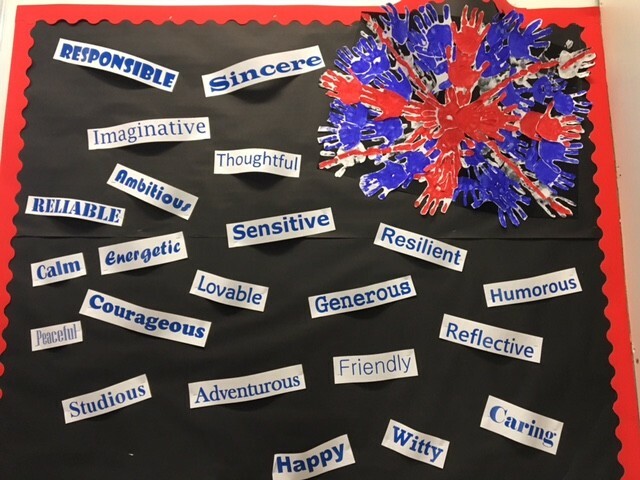 As well as this, our Learning Adventures encourage children to develop the skills of resilience, independence, collaboration and evaluation as these are fundamental to becoming an effective life-long learner. Curriculum themes include historical and geographical study in the context of the United Kingdom as well as national and international comparisons. Principles of democracy, power and the law are explored routinely throughout the school. 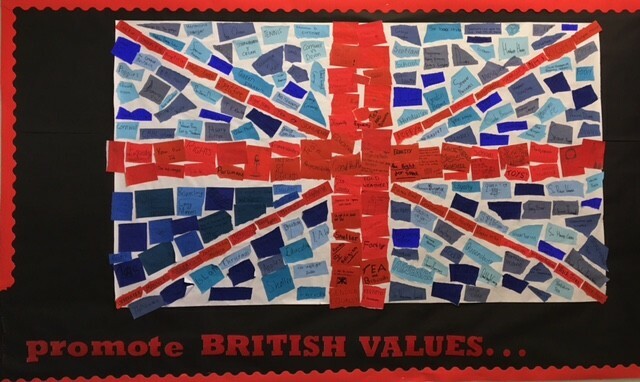 Our assemblies reflect school values and British Values in the themes that are chosen over the course of the year. Whilst the school holds a determination from Brent SACRE which means our worship is not based in Christianity – or any one religion – it is spiritual, inclusive and reflects British Values. School assemblies are led by all members of the teaching team over the course of the year and we regularly invite visitors from our local community to support the themes we are focusing on. Each Friday we have an achievement assembly which celebrates children's achievements and values their successes. Over the year, each year group in the school leads a special assembly which they present to all children as well as parents and invited guests. We use year group assemblies to celebrate and respect the range of faiths and beliefs that are shared by all communities at OGPS. All the key festivals are celebrated each year with children building up their understanding of other communities over their time at the school. We have assemblies that celebrate festivals of Diwali, Harvest, Hanukah, Eid, Christmas, Vesak & Easter. It is a strength of the school and local community that parents do not withdraw their children from our special assemblies and that at each one you will see children of all faiths and no faith standing side by side sharing their own experiences or what they have discovered. Parents support and value these assemblies and visitors are always very impressed with our children's confidence and skills. We seek to help our children not just show "tolerance" towards each other but to have a real understanding of the things that are important to everyone and to respect each other's choices. Each year we run a prayer and reflection time so that children of all faiths and no faith can take time out to pray or reflect in a quiet place. This was started at the request of the children and each year we review how it works with the children in our school council. Mutual respect is alo taught within formal, PSHE lessons, sessions and on an informal nature throughout each day. Pupils are encouraged to know, understand and exercise their rights and personal freedoms and are advised how to exercise these safely, for example through our E-Safety policy and PSHE work on keeping myself safe. Tolerance & respect of those of different faiths and beliefs is promoted in RE as children gain a greater understanding of religious diversity and practices for those religions represented in the local area and the UK. Planning for RE is directed by the Standing Advisory Council for Religious Education (SACRE) - Agreed Syllabus for Religious Education. We have a very close relationship with our local church, Holy Innocents with regular visits from their Vicar. We also hold our Easter assembly, led by Year 6, at the church which is next door to the school so that children become familiar with a local place of worship. We also have a close relationship with the Shree Swaminarayan Temple where children visit each year at key festival times. We also visit and work with other local Gudwaras, Synagogues and Mosques as part of the RE curriculum. Children visit local places of worship to gain a better understanding of the faiths and traditions in this, one of London's most diverse boroughs. We promote "fair play", following and developing rules, celebrating and rewarding success, accepting defeat and participating in activities that promote cooperation with others and inclusion for all form part of the PE curriculum. At OGPS we promote the democratic processes through the election of school councillors. Each September we revisit the concept of democracy and pupil voice, with the children taking part in the campaign and election process from Reception to Year 6. Our year six pupils are charged with the responsibility of leading and take on the roles as Chair, Vice Chair, Business Manager & Accountant each year. The school council fosters the concept of freedom of speech and group action to address need and concerns. They make presentations back to their classes and to the school governors. Where national or local elections take place such as general elections, London Mayor elections or local elections, we use these opportunities to hold further elections in school to help children learn about the value of democracy and how it makes a difference. In 2015, we held school elections with Y5 pupils forming parties on key school improvement issues; the Locker Party won the election and brand new lockers were purchased for Y6 pupils as a result of their campaign! Coming in 2018, we are focusing on learning about democracy by using the parliamentary artefacts box from Westminster. The children will be learning about the role of the speaker, the House of Commons and the House of Lords. We will also be holding our own whole school election at the same time of Brent Local Elections in May 2018 which will focus on campaigning for local issues and making our local community a better place! Watch this space for more details in the spring and summer term! Each year Armistice Day is remembered and children are encouraged to reflect on this during assemblies and class time. Our Year 6 children support by taking the poppy appeal to each classroom to raise awareness and money.